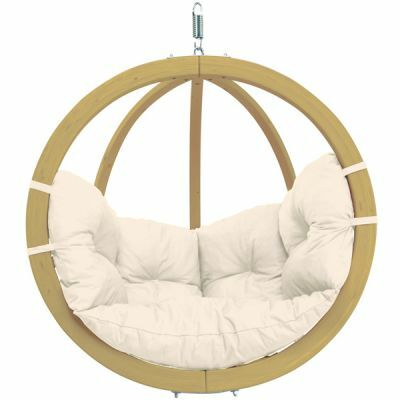 The Spherical XL hanging chair with stand 'GLOBO ROYAL NATURA' is the ideal place to dream away and relax, inside and outside. 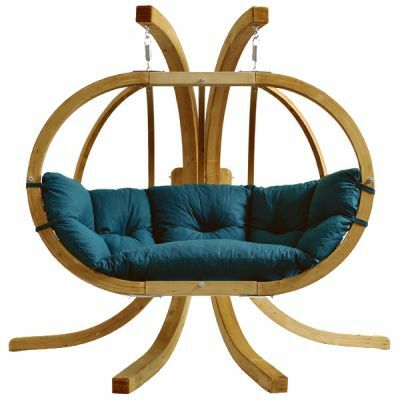 Redefine your indoor confort & lounge zone or your garden & chill-out with this comfy and luxurious two persons hanging swinging chair with stand. Made of stable spruce wood, it is equipped with a big soft cushion (100% cotton, filling polyester) which makes it a real cosy place. - Please note we do not recommend the cushion is left outside during adverse weather conditions long periods. Globo Royal Green +Stand: Cadeira Susp.